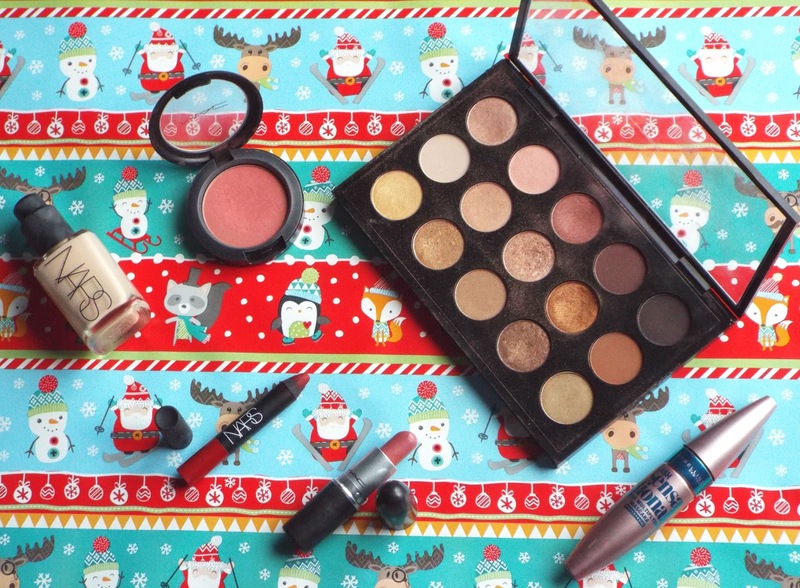 I've picked a few favourite makeup choices, which I will be wanting for throughout December. At this time of year it is the perfect opportunity to embrace all things glitter, and have the guts to wear those daring lipsticks which have been collecting dust. I am kicking thing off with my favourite palette of 2015, the MAC Warm Neutrals Palette. This palette costs £65, however for 15 eye shadows it is excellent value. It contains so many well-known and best selling eye shadows which are fabulous and I cannot stop using. The array of eye shadows are perfect for all occasions. My favourites are Amber Lights, Honey Lust and Gingersnap. The Nars Sheer Glow Foundation is such a lovely, glowy foundation and has become one which I am able to rely on. For this time of year, I don't like to wear a foundation which is too heavy on my skin, and this is perfect as this is light and non cakey. It is expensive at £31 but if you do fancy treating yourself this would be a great choice. This MAC Blush in Peachykeen is the perfect pinky shade with some peachy tones running through it. I think that MAC blushers last for so long, and it is a purchase which you will definitely get your moneys worth from. If you are looking for an everyday blusher then this is the perfect choice, as it suits so many makeup looks. If you have been reading my blog for a while, you will know I am super fussy when it comes to mascaras. I have two which I use, and my current favourite is Maybelline Lash Sensational Waterproof Mascara . This is such great value for £7.99, and the wand has the perfect curve on it to give you luscious, long lashes. Obviously this was going to be on my favourites as it is my most worn lipstick ever. It is the MAC Brave Lipstick, and I just totally adore this shade. It suits my skin tone, and always brings together the simplest make up look. If you are more adventurous in your lip choices, the Nars Cruella Velvet Matte Lip Pencil is a perfect option. I love the formula of these lip pencils, and this colour is a cult classic. This is a great one to choose if you are a newbie to red lips. The pencils glide on super easy and I find the best way to use them is to line your lips first, and then slowly fill in the rest of your lips. For me, this prevents smudging and overlining your lips. What are your favourite Christmas choices?